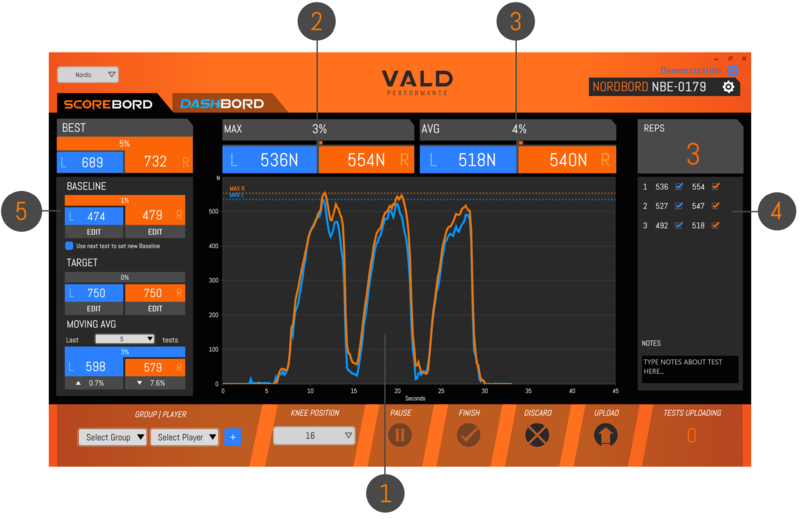 When you run a NordBord test in ScoreBord, a number of metrics are calculated automatically. 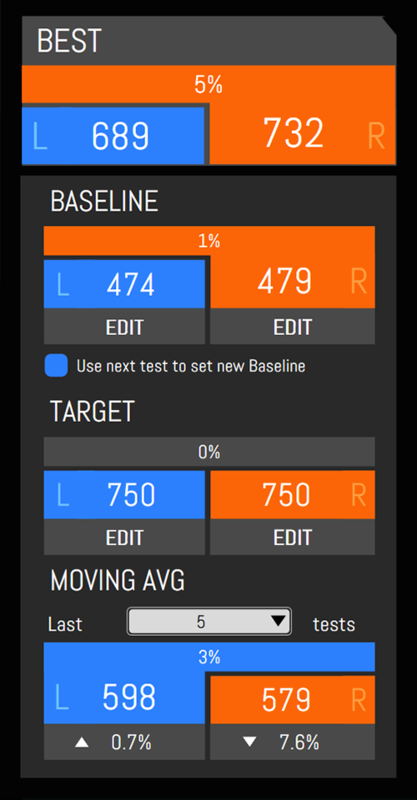 Here's a rundown of what the on-screen metrics mean. 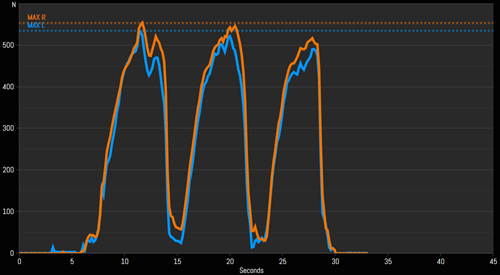 Note: "Average" is the average of the peaks of all reps performed during the test. 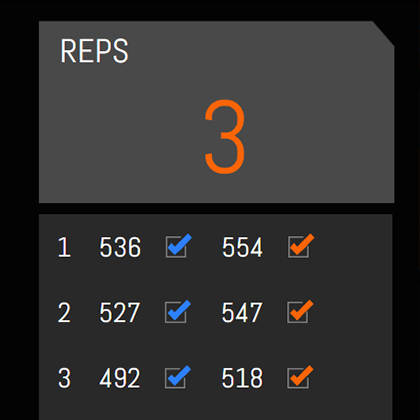 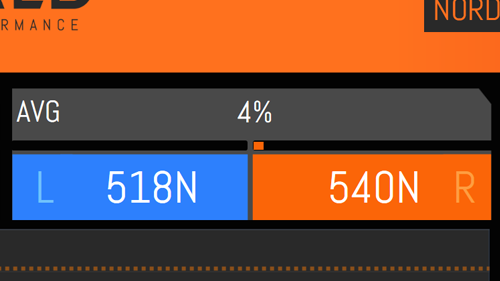 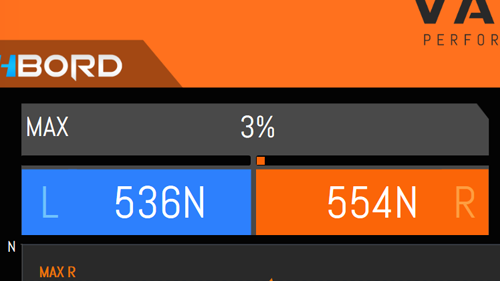 The right-hand results bar shows rep-by-rep results for left and right leg.